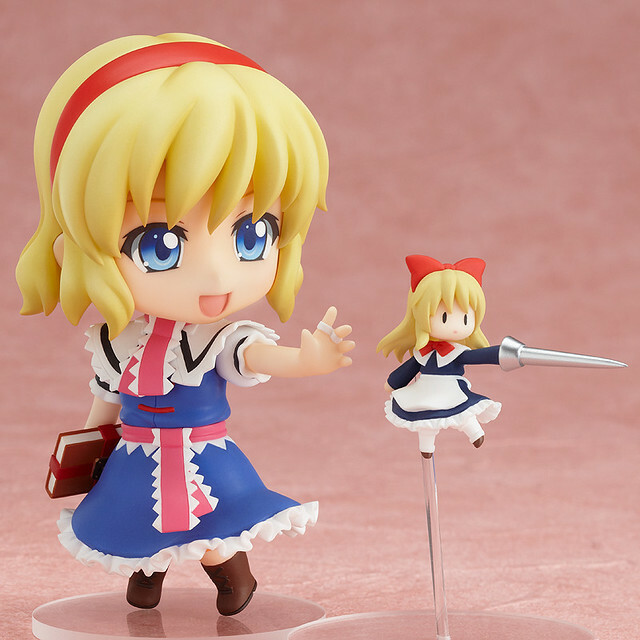 The latest cast from Touhou Project to join the Nendoroid realm is Nendoroid Alice Margatroid, who is available for pre-order starting today. From Team Shanghai Alice’s popular Touhou Project game series, comes a Nendoroid of the magician who lives in the Forest of Magic, Alice Margatroid! She comes with a variety of optional parts including a smiling expression, her grimoire as well as three of her puppets, one of which is also a headphone jack. The puppets allow you to pose Alice showing off her ability to control them in battle – just one of the many interesting situations you can recreate in Nendoroid form! She will be released on January 2013 with a price tag of 3500 Yen. 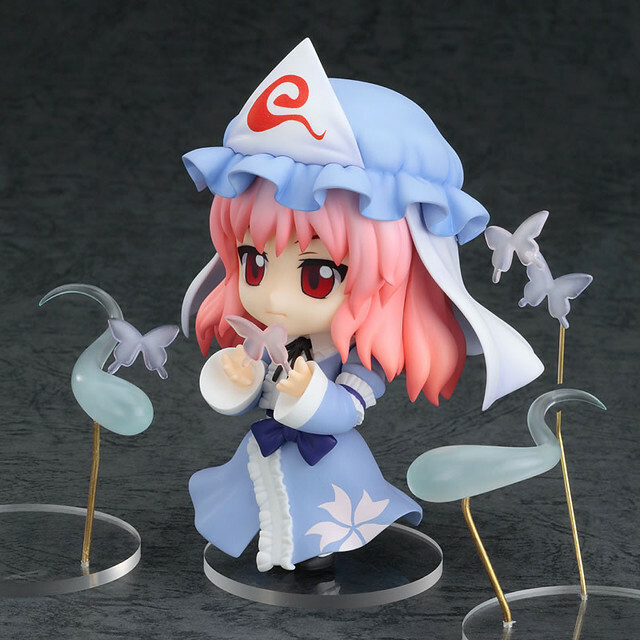 Nendoroid Saigyouji Yuyuko is also going for re-sale, as announced previously. The ghost girl from the Netherworld Tower is back again! Another member of the Nendoroid Touhou Project series is being rereleased! This time it is the ghostly owner of Hakugyokuro, Nendoroid Yuyuko Saigyouji! She is wearing her light blue kimono with a gentle smile across her face, but also comes with two extra expressions, including a contemptuous expression for a darker look, as well as an innocent smile for a cuter appeal. She also comes with both an open and a closed folding fan, some spirits to float around her and even some ghostly butterflies to flutter around her. You can display her with together with Nendoroid Youmu Konpaku to recreate the everyday life at Hakugyokuro! She is priced at 3000 Yen and scheduled for re-release at the same time with Nendoroid Alice Margatroid – January 2013. Online pre-order can be done via Good Smile Online Shop. Orders can be placed between the 13th September 2012 (Thurs) from 12:00 until the 10th October 2012 (Wed) at 21:00. This entry was posted in News and tagged alice margatroid, nendoroid, saigyouji yuyuko, touhou project.